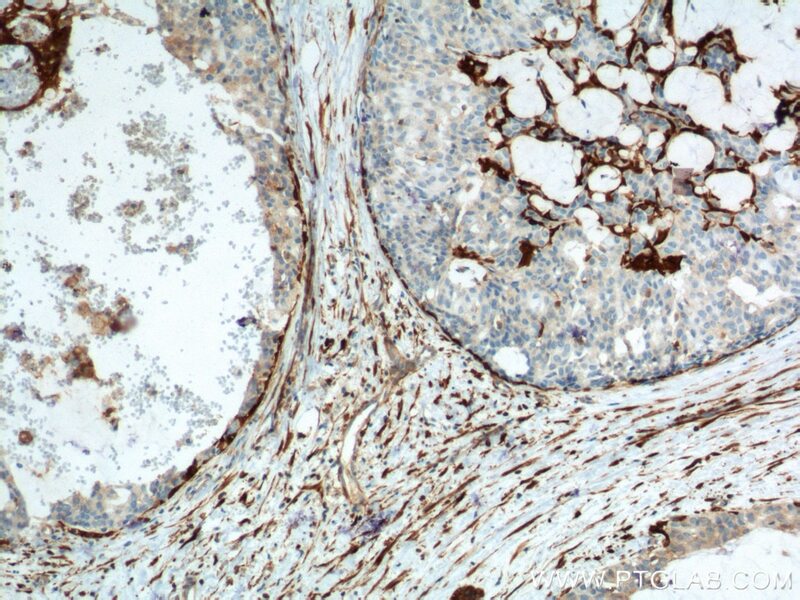 Immunohistochemical analysis of paraffin-embedded human breast hyperplasia tissue slide using 66244-1-Ig( CNN2 Antibody) at dilution of 1:2000 (under 10x lens). heat mediated antigen retrieved with Tris-EDTA buffer(pH9). 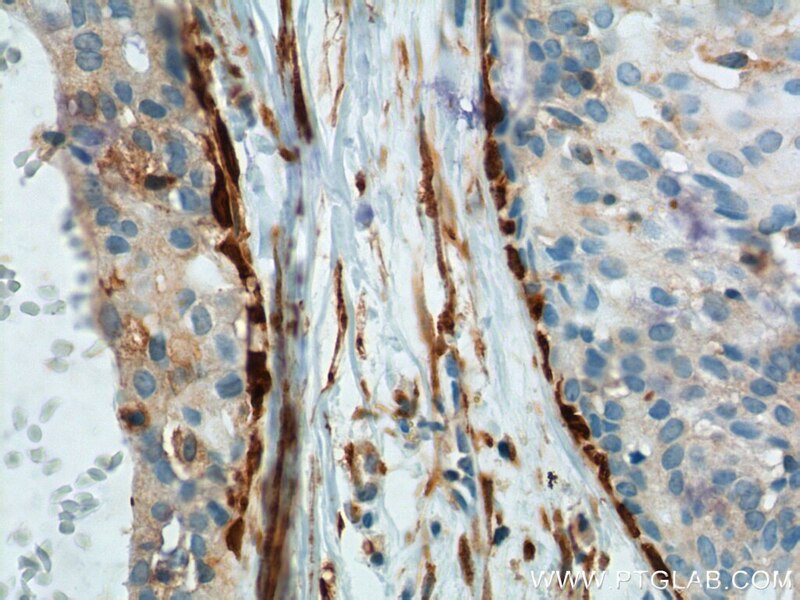 Immunohistochemical analysis of paraffin-embedded human breast hyperplasia tissue slide using 66244-1-Ig( CNN2 Antibody) at dilution of 1:2000 (under 40x lens). heat mediated antigen retrieved with Tris-EDTA buffer(pH9). Calponin is a family of actin filament-associated proteins which regulate smooth muscle cell contraction. 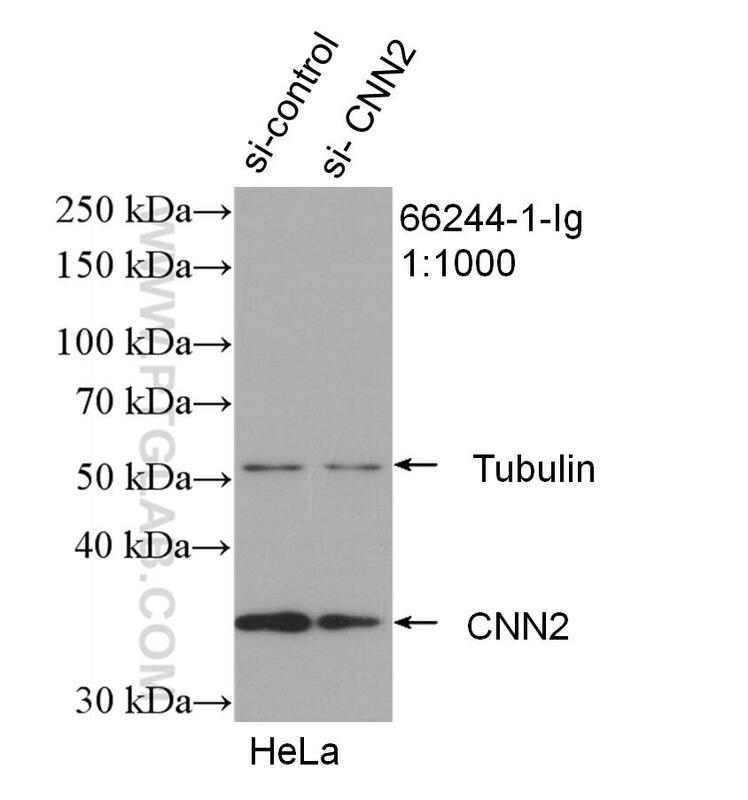 Three isoforms of calponin exist: calponin h1 (CNN1) , calponin h2 (CNN2) and calponin 3 (CNN3). Calponin 1 and calponin 2 are predominately expressed in smooth muscle cells and cardiac muscle cells, respectively. Calponin 3 is highly expressed in many tissues including articular cartilage and brain.